For workers to keep their hearing in the best shape, follow these tips. 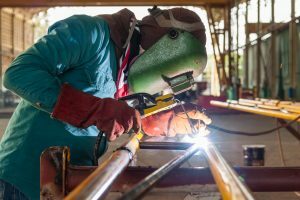 If you’re working in a factory, at a construction site, or any place that involves constant noise, the protection of your hearing may seem unimportant. It should really be the exact opposite though, because these are the places where your hearing can suffer the greatest amount of damage. It won’t just happen at the workplace, it’ll carry over into your daily life as well, such as your sleeping habits. For workers to keep their hearing in the best shape, follow these tips. Routine is not for everyone, but people can develop them subconsciously. Don’t rely on your subconscious, get yourself in a routine each and every day. That routine should start with putting on some form of hearing protection before you leave to go to work, like earplugs. It’s a simple task that can make you feel accomplished early on in the day. This one may be tough given the circumstances of your possible environment, but hearing damage can actually occur in a wide variety of workplace situations. Not only is it just heavy machinery or large load vehicles, but even concerts can have an effect as well. Music is a driving force in the world, and everyone has their own set of favorites that they listen to while at work. In many cases, it’s a great way to pass the time while completing daily tasks, and it also blocks out the excess noise from the surrounding environment. The problem is when workers turn the volume up too much, and while it may be cancelling out the loud setting, it’s still affecting your ears and hearing. A great way to avoid this problem is by investing in noise cancelling headphones. You won’t have to turn the volume all the way up to cancel out the surrounding noise. Overall health has an impact on everything, especially your hearing. It’s common knowledge, but smoking is not good for you. If you are smoking, seriously consider the benefits of quitting, as you’re at risk for much more than hearing loss. Constantly smoking can damage your hearing, and it’s incredibly easy to take away this threat. This entry was posted on Friday, November 17th, 2017 at 9:38 am. Both comments and pings are currently closed.